We’ve searched high and low and found the best swimsuits on the market this summer. Go retro with florals or pastels. Bring the off-the-shoulder or the one-shoulder trend to the beach. Or opt for nautical stripes. or a block colour instead. 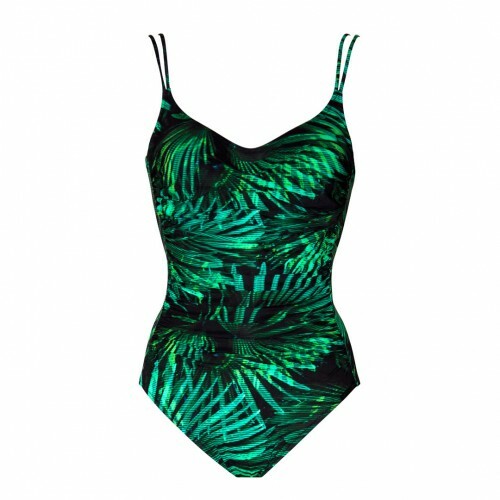 Shop our edit of the best summer one-pieces. Ditch the black. Florals are big news this summer. 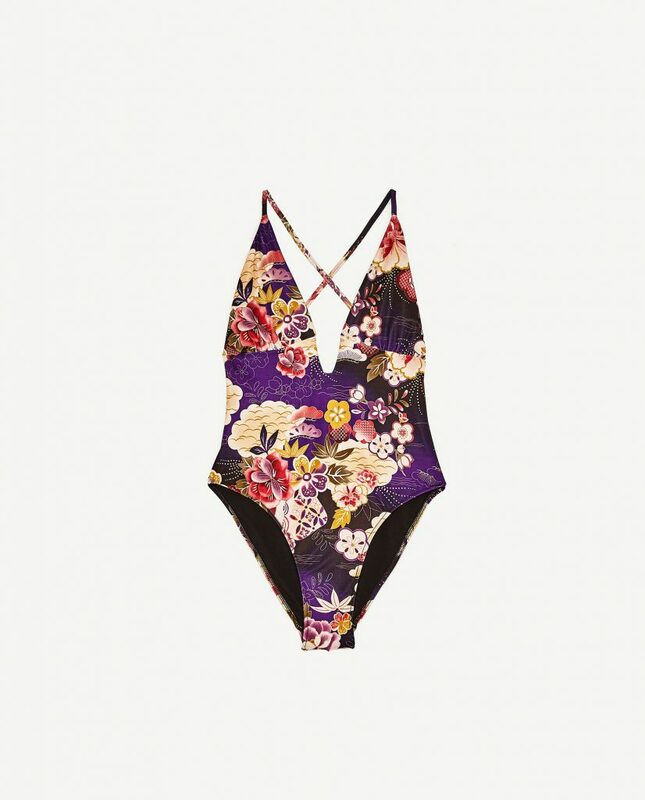 Zara has a gorgeous printed one-piece – £25.99 Floral Print Swimwear. If florals simply aren’t your thing then embrace the nautical trend instead. A classic one-piece is just perfect for lounging around the pool. 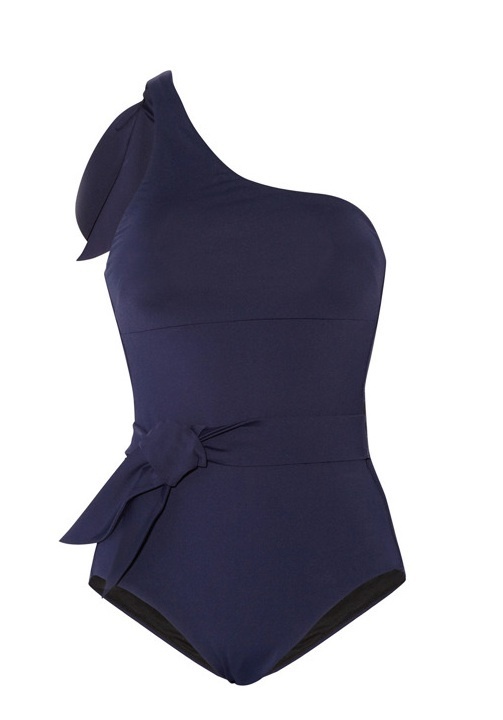 Seafolly Castaway Bandeau Swimsuit in Indigo £120 John Lewis. Pink is this season’s must-have colour. We just love just hot pink swimsuit which will add some colour to wardrobe. Seaspray Just Colour Plunge Halter Swimsuit in lipstick pink £75 from Simply Beach. If you dare, a white swimsuit will show off your tan to perfection. Elegantly classic this Melissa Odabash number is designed to flatter. Phuket Halterneck Swimsuit White £200.00. Comes in indigo, dusty rose and black too. Reversible swimsuits are very versatile (less packing too!). Seafolly has a fantastic reversible swimsuit in vintage floral print one side and a soft candy stripe on the reverse. 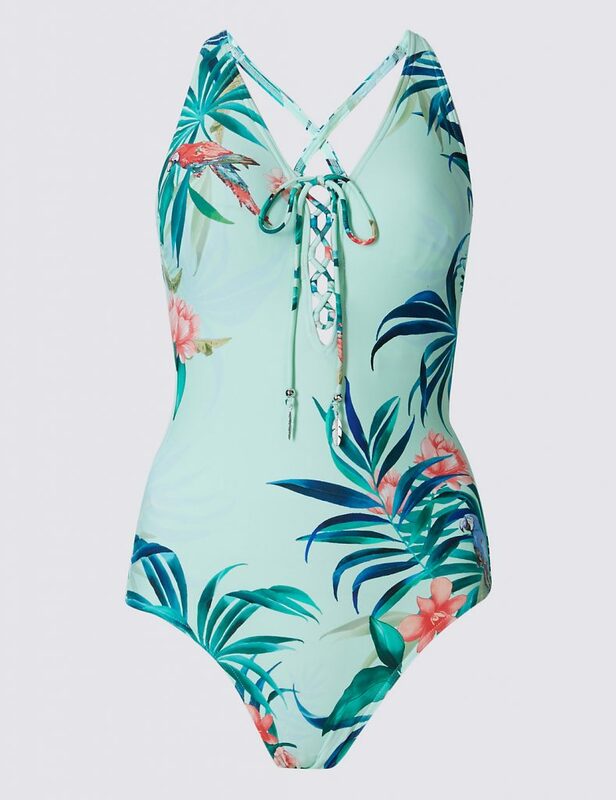 Seafolly Vintage Wildflower Reversible V Maillot Swimsuit – Iceberg £98 from Cocobay. Travelling with children can stressful with children especially if it involves long waits at airports or lengthy car journeys. As a mum of four I have found that with a bit of planning you can have a stress-free journey…well almost! All my children from a very early age had their own backpacks into which I would pop a variety of things to keep them entertained and they too would bring a few of their favourite toys. Most of these items do not involve any kind of technology or power as some of the best ways of keeping children entertained are often the most simple. 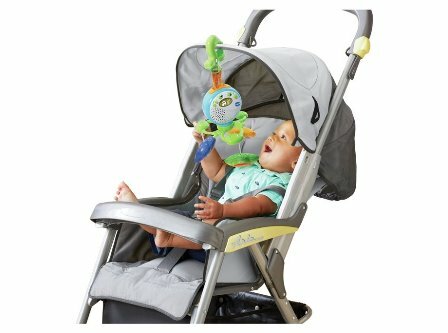 This lightweight, portable mobile is a must for babies who travel. The VTech Pack n Go Travel Mobile easily attaches to most cots, playpens, prams and baby carriers. The light-up button plays lullabies and melodies and has a multi-colour night-light to soothe your little one when away from home. Set the timer and it will automatically switch off. Suitable from birth £24.99. 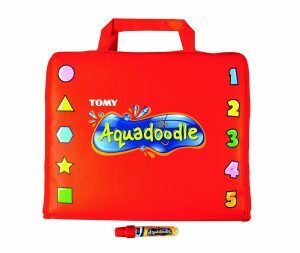 Keep toddlers entertained with the added bonus of no mess with this portable Tomy Aquadraw Travel Drawing Bag. Simply fill the Aquadoodle pen with water and see your designs magically appear. Once the water dries the drawings fade away so you’re ready to start again. Suitable from 18 months. £13.05. Small children love being read to. Thomas is a favourite and this new book also has 10 magnetic characters to create adventures of your own with Thomas, James, Percy, Harold and all their friends. 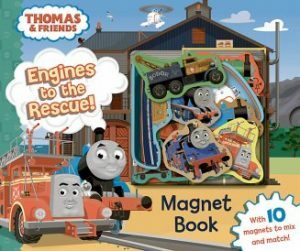 Thomas & Friends Magnetic Children’s Book £6.99. 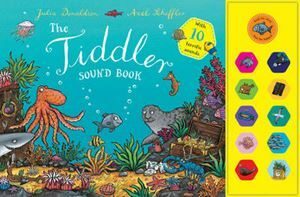 Babies and toddlers love pressing buttons and The Tiddler Sound Children’s Book £14.99 will bring the story to life. 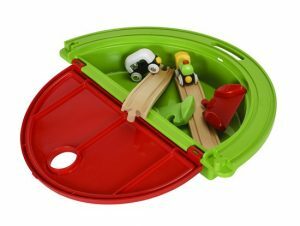 My kids love a train set and this new travel version from Brio comes with a special carry-along case. Chunky plastic connector pieces help kids guide the train onto the tracks, and the train car polarity swivels so that the cars can be easily attached in any direction. My First Take Along Set £29.99. Playdoh is always a winner in my book. 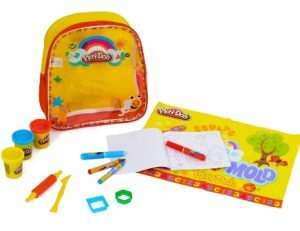 This Play-Doh Activity Backpack is perfect for having fun on the move. 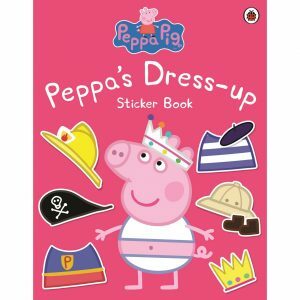 Includes coloured doughs, tools, pens and a colouring book £6.99. Or try Playfoam – a lightweight modelling foam that never dries out. The Playfoam Go! 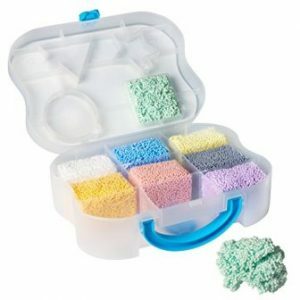 set in a plastic carrying case includes 8 colours of PlayFoam, each kept neat and tidy in its own unique compartment £12. 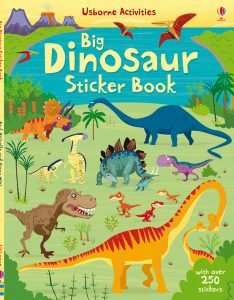 These brilliant cards from Usborne are a must for kids on any journey. 50 wipe-clean cards with 100 simple activities to keep young children occupied including games, puzzles and quizzes using everyday objects found inside the vehicle or seen out the window. Plus a special pen to write on the cards. 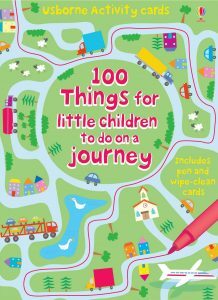 100 things for little children to do on a journey £6.99. My kids love Playmobil and we’ve found these travel sets to be particularly good for entertaining them on journeys but will also provide hours of fun at your holiday destination. 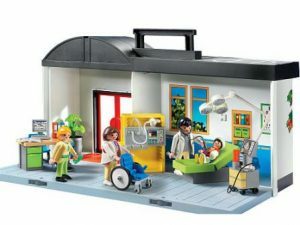 Playmobil City Action Take Along Hospital Playset £24.99. Add an educational twist to your travel toys with this portable pack which teaches children all about letters. There are ones on numbers and shapes too. 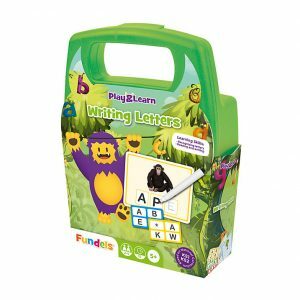 Age 5+ Fundels Play & Learn Writing Letters £9.99. Playing a game of cards whiles away hours while travelling and is fantastic fun when you get there too. 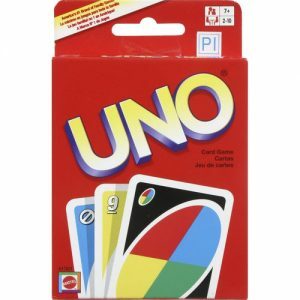 As a family we love UNO. It’s easy to play, fast paced and quite addictive too. For 2-10 players £6.99. Top Trumps is a must on any journey. There are hundreds of sets to choose from to suit all tastes from Paw Patrol to Star Wars, Harry Potter and Football. 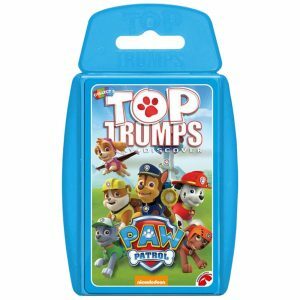 Top Trumps £4.99. Banangrams is the perfect travel game as it requires no pencil, paper or board. All you need is a flat surface. Great for family fun and helps with vocab and spelling too. 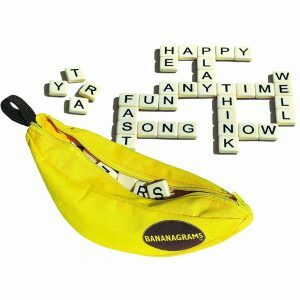 Age 7+ Bananagrams £14.98. Meet Our New Baby Animals – win a free set! We’ve been busy this summer at My Nametags HQ designing some super cute baby animal designs. To celebrate we are giving away a free set to one lucky My Nametags newsletter reader. See below for more information. There are 38 new designs, all as cute as each other, from tigers and elephants to owls and puppy dogs. Which one will you choose? To give you a taster, we introduce some of our favourite baby animals with some amazing animal facts. Will you choose a baby elephant? Did you know that when baby elephants are born they are covered in black fur? They can walk and follow the herd after just half an hour of being born! Lion cubs start walking at 10-15 days old. The female lionesses teach their young to hunt as they do the majority of the hunting for the entire pride. Did you know that there are three species of zebra: Grevy’s, mountain and plains. Plains are the most common. Baby zebras are called foals and they can run with the herd within a few hours of birth. Baby dolphins are called a calf. As soon as the calf is born, the mother must quickly take it to the surface so it can take its first breath. The calf will stay with its mother until it is between 3 and 8 years old. Cats and humans have been associated for nearly 10000 years and there are over 500 million domestic cats in the world. Cats conserve energy by sleeping for an average of 13 to 14 hours a day! The tiger is the biggest species of the cat family. Unlike most members of the cat family, tigers like water. They are good swimmers and often cool off in pools or streams. COMPETITION TIME – win a free set!